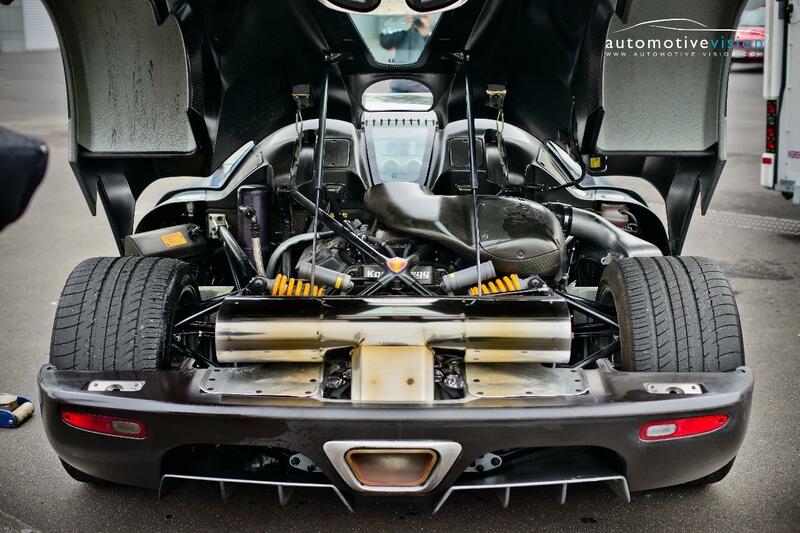 It is believed that this Koenigsegg was used for testing and certification purposes. There are a number of characteristics on this car that support this theory. Most notably the structure of the VIN, that suggests that this is a CCR, rather than a CCX. 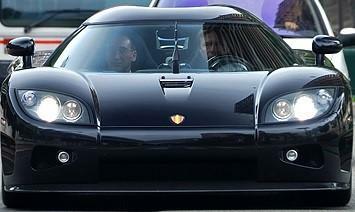 According to the VIN structure this car was built August 2005 (see trivia section) but a license plate for this chassis, issued to Koenigsegg AB, was already released in December 2004. So this is an early car, even before the first CCX; chassis 030, that was intended for use by Koenigsegg themselves. 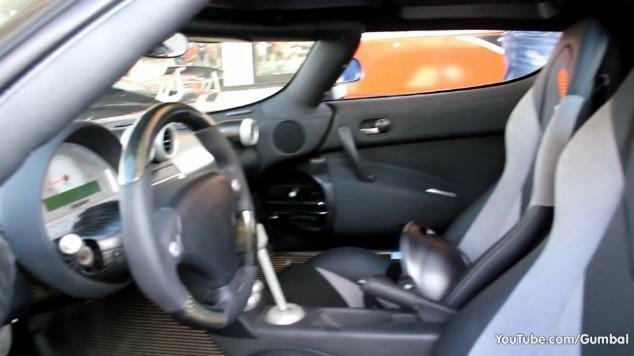 It is therefore likely that this Koenigsegg was not a (fully specced) CCX yet when it first appeared but rather a further developed CCR / CCX prototype. The absence of the model call out badges on the sides of this car add to that, together with some unique features. For instance the air vents just behind the front wheel arches are different than on any other Koenigsegg, as are the windscreen washer nozzles that are positioned differently as compared to (other) CCXs. Having been used as a test and certification car would also explain why it was not publicly seen for such a long period of time as both testing and certification would have been secret. It is however not likely that 031 was used for testing for almost six years but more probable that it lost its purpose when testing and certification was done and was stored at the factory. 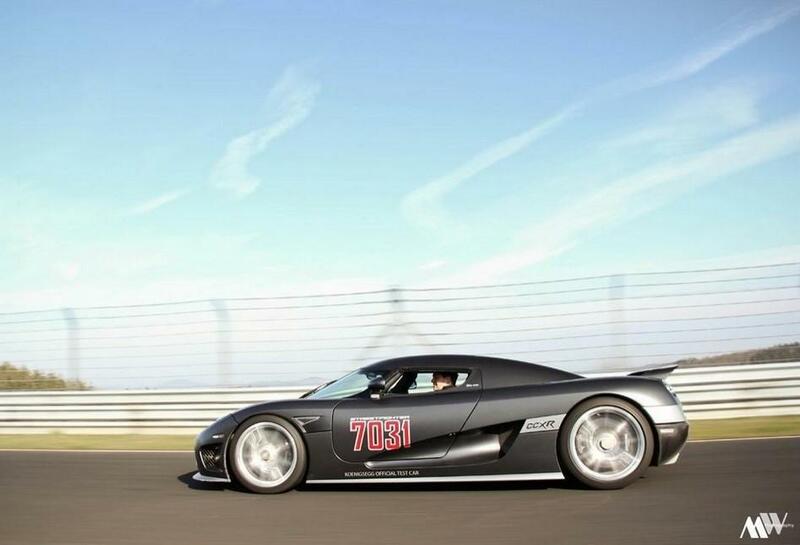 Howbeit in April of 2012 this Koenigsegg surfaced at the Gran Turismo Nürburgring event together with 086 and this time it had CCXR badges on the sides, suggesting this car was also used for the CCXR test program. 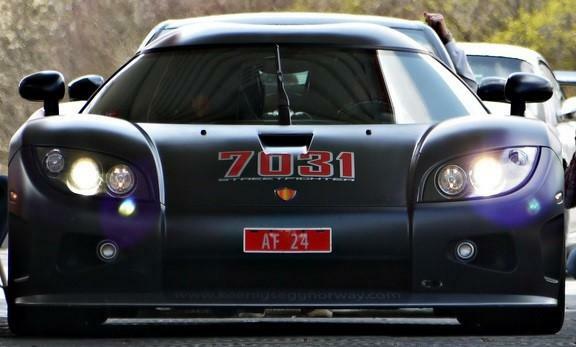 It had stickers reading "streetfighter 7031" and "Koenigsegg Official Testcar" and a Top Gear rear wing was added since the car was last seen in 2006. 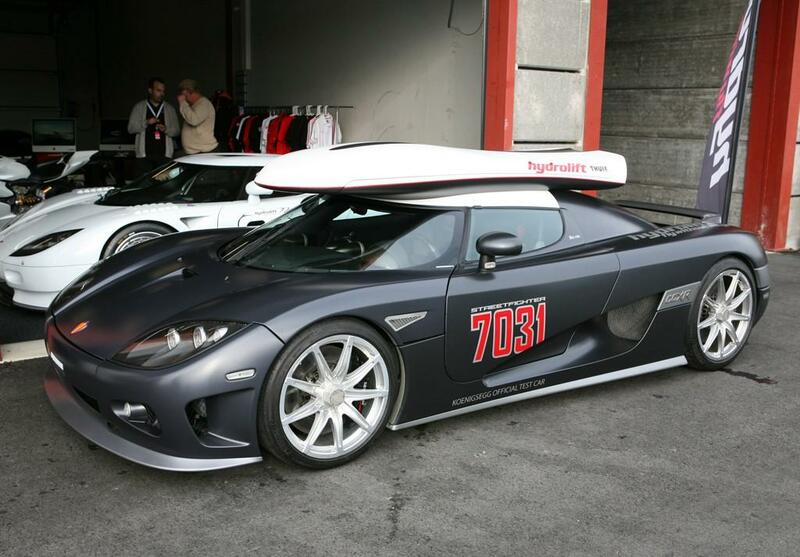 This car was campaigned at the Gran Turismo Nürburg event by Eker, the official Koenigsegg representative for Norway. 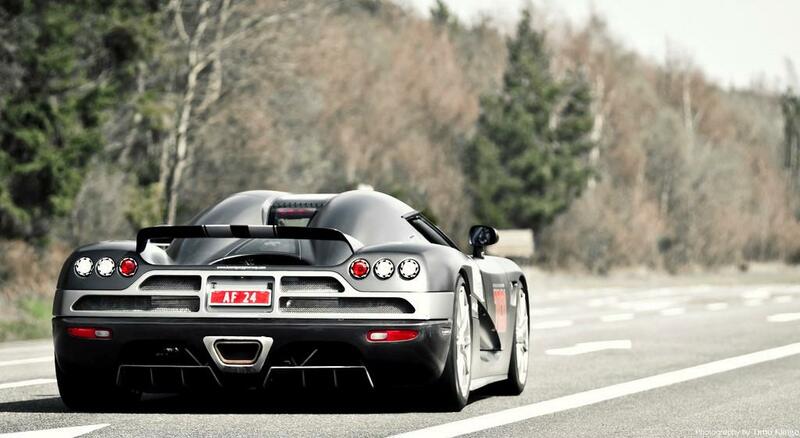 This Koenigsegg stayed with Eker and was shown on several occasions. In May 2012, 031 was spotted during a Ducati event alongside 017 and 086 and in June it was seen at the Koenigsegg of Norway showroom, together with 017. This car made an appearance at the Rudskogen festival in August, where 031 was in good company as 012, 017, 063 and 086 were also present. A year later, August 2013, this car was spotted at Trosnes, Norway with the roof section, including ski box, of 083... A month later, it was driven around the Rudskogen circuit still with the roof section and ski box of 083. This seems to have been the last activity of 031 as after that it was only spotted in a garagebox at Rudskogen together with 052 several times in 2014, lastly November 2014. For 031, a rather unusual color was chosen, namely matt gray. As mentioned earlier, this car did not have the model badges at the sides at first. 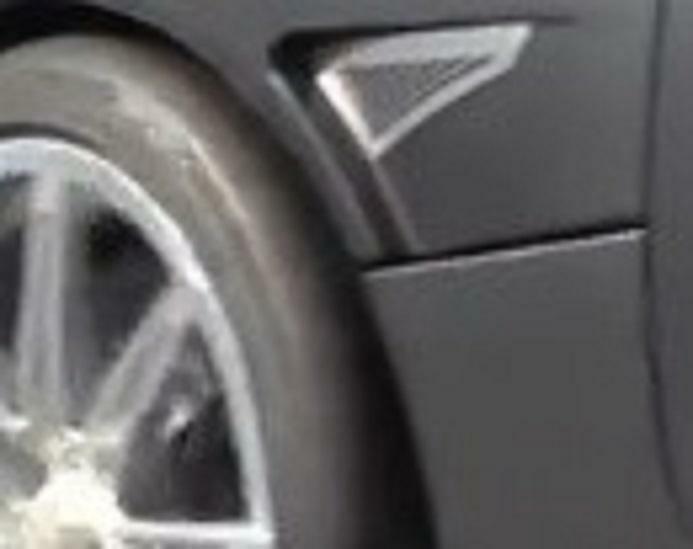 The windscreen washer nozzles are positioned in a unique way, which helps identifying this car, just like the different air vents behind the front wheel arches. The front splitter and side sills are not finished in clear coated carbon, like on most CCXs but in silver, often seen on CCRs. Chassis 031 was riding on the 5-hole telephone dial wheels when first seen outside of the factory and was not fitted with a rear wing initially. 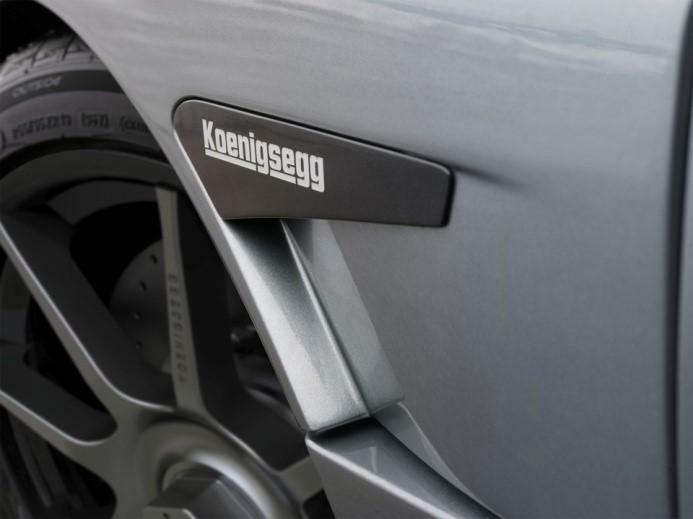 Since this Koenigsegg was used as a test and certification car, it might not come as a surprise that it underwent some changes in the period of almost six years that it was not seen. When spotted in 2012 again, the car sported CCXR badges in silver on the model call out badges at the sides and a Top Gear style rear wing, with dual white stripes with smaller white highlights on the outer edge, had been added. The older rear light set-up (two red lights and one white light on either side) had changed in favor of the newer one (with one red light and two white lights). The earlier telephone dial wheels had been replaced by 9-spoke Edition style wheels and numerous stickers were added, the most eye catching no doubt being the "7031 streetfighter" and "Koenigsegg Official Test Car" ones on the sides and the front. Some less apparent ones were also added; "Hydrolift fly without wings" at the rear fenders and "Bård Eker" at the doors. When attending the Nürburg event in April 2012, a pair of Gran Turismo Nürburg event stickers with number 078 on them were added on both sides of the car, these stayed on long after the event had ended but were eventually removed again. The 7031 streetfighter sticker at the front was also removed but the ones at the sides of the car were retained. The white roof section with matching ski box, believed to have once belonged to 083, was fitted briefly but it was removed after the lid came off while doing some high speed laps at the Rudskogen circuit in September 2013. Apart from that, no changes were made to this car and it appears like this till the present day. The interior is dominated by the color gray; dark gray is used for most of the interior but some light gray accents are used for the seats. The higher part of the middle console is covered with black leather but the top of the dashboard is not upholstered with leather, showing clear coated carbon. 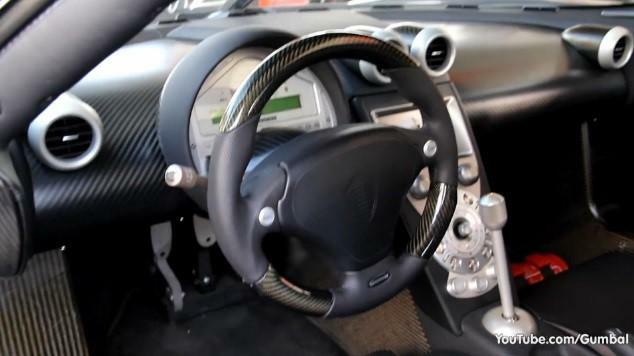 This Koenigsegg has the older style dashboard as used on the CC8S, the CCR and the early CCX models up to chassis 048. Interesting to see is that 031 does have the new infotainment system which was introduced on chassis number 063, suggesting this part was tested in this particular Koenigsegg. Notable detail is that the seat cushion that supports the legs on the passenger side is black, while on the driver side it's dark gray. 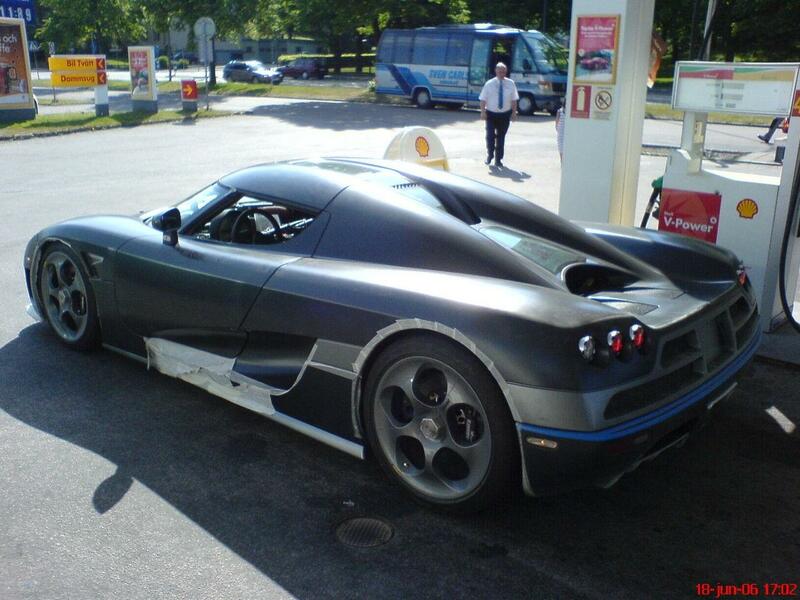 There is only one known photograph of this Koenigsegg in the first five years of its life and the engine is not visible in this picture of June 2006 when it had its first outing. Therefore it's impossible to tell which engine it had at that time. However it is believed that 031 was used for testing and certification so it would be logical if the CCX engine already was in this car when first seen as the CCR range was at its end and testing and certification for that model would have long been completed. When attending the Gran Turismo Nürburgring event, the car had CCXR badges at the sides and pictures of the engine show an engine with "CCX" on the valve covers. 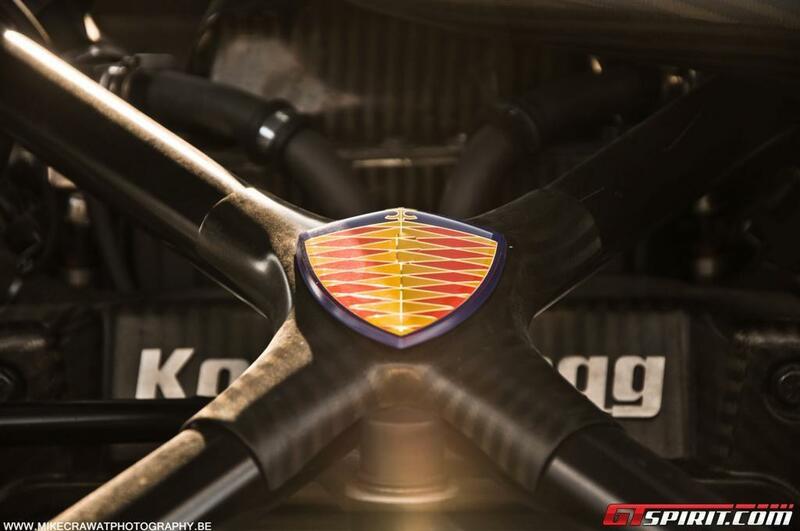 This suggests a CCX engine, which was modified to enable it to run on recyclable ethanol (also known as E85) as well as normal petrol in any mixture thanks to an advanced flex fuel system developed by Koenigsegg themselves. 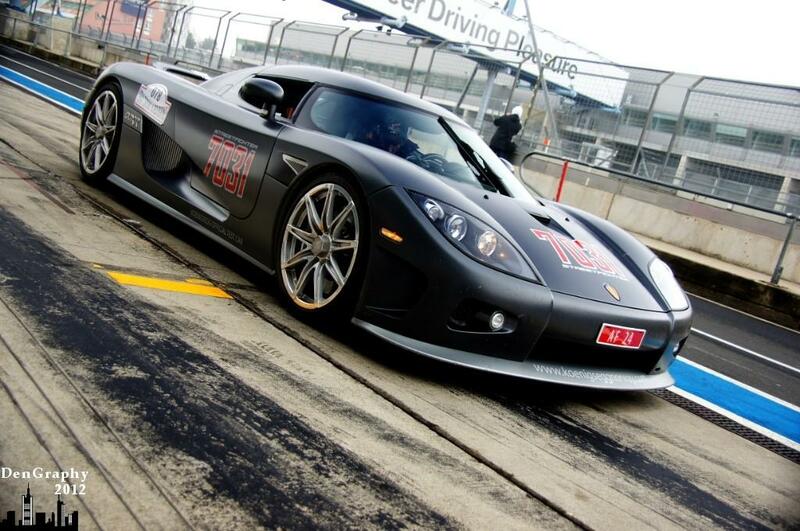 When running the CCXR on pump gas, the 4.7 liter twin-supercharged Koenigsegg engine delivers 806 Hp. But when running on E85, this already impressive figure raises to an astonishing 1018 Hp, making the CCXR the most powerful production car when introduced in 2008. 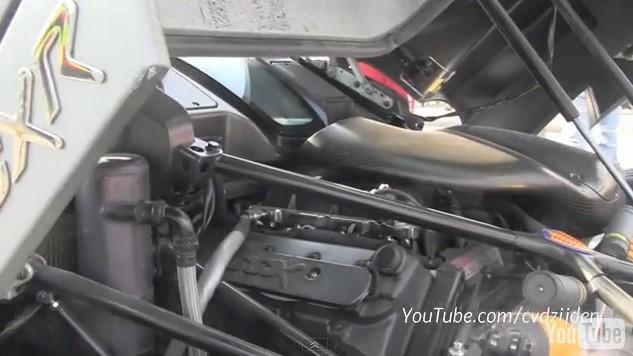 The engine of this Koenigsegg is mated to a 6-Speed manual gearbox. Normally the CCX(R) model range (rear) suspension is equipped with red springs but this Koenigsegg has yellow springs, which were fitted standard on the CC8S and CCR models. The yellow springs have more windings than the red ones and are softer. This Koenigsegg has the following VIN number: YT9M2G0V8H5007031. The last three digits represent the built number, which means this is chassis 031. The first CCX we know of has chassis number 030 and therefore it would be logical that this Koenigsegg would also be a CCX. Especially when its first outing is believed to have taken place after the CCX was officially introduced at Geneva. This Koenigsegg however has a CC8S / CCR VIN structure (see also the Decoding Koenigsegg VINs section), in which the tenth and eleventh digit represent the month and the year in which the chassis was built. For this car, the eleventh digit is a 5, which is easy as that represents 2005, the tenth digit is a bit harder but A stands for January, B for February and so on, which means H is August. So this chassis was built in August of 2005, even before the last CCR chassis was finished.